Here we have the wine of the vintage, one of the finest single wines we’ve ever bottled, and a DuMOL classic in the making. I expect to be enjoying this one for the next 12+ years. I compare it most closely to our 2002 Finn bottling that was singing at Christmas 2015 from a perfectly-stored 3-liter bottle. There’s a completeness to this wine that is hard to achieve in any but the finest vintages, and a level of pedigree and effortless quality that is rarely matched. In no way, however, is this a ‘big’ wine – that’s not its raison d’etre. 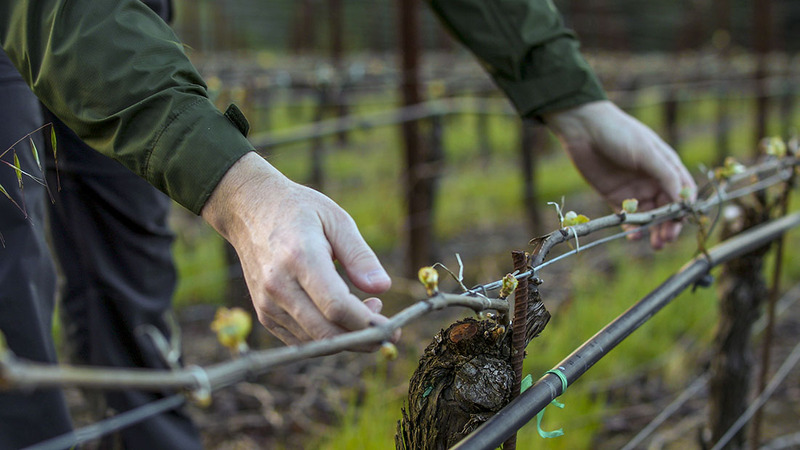 Rather, it’s a wine of polish, breed and classical balance, with a precision of flavor and purity of western Russian River character that’s the essence and focus of our work here. It’s a blend of vines grown on shallow marine sandstone and richer clay-based soils and that’s reflected in its multi-faceted character – it’s complete and integrated, elegant and fine, detailed and deep. I recommend you buy a magnum and try to employ some degree of patience. The rewards will be many. Do not miss out. Deep complex multi-dimensional aromas. Soaring red and black fruits. Truffle, tangy orange peel, graphite, fresh soil and woodsy notes. Beautiful fruit purity on entry. Thrilling, electric intensity. Spice cake, nutmeg and beetroot complexity. Buoyant volume and real depth of flavor. Long silky tannins, bright acidity and roasted malt, mushroom and charcoal finishing nuances. A dynamic wine of unmatched clarity, depth of flavor and length of delivery.